In this month’s edition of our Meet the Team series, we met up with our fantastically organised Claire, who joined the Sheerwater team just over 2 years ago. 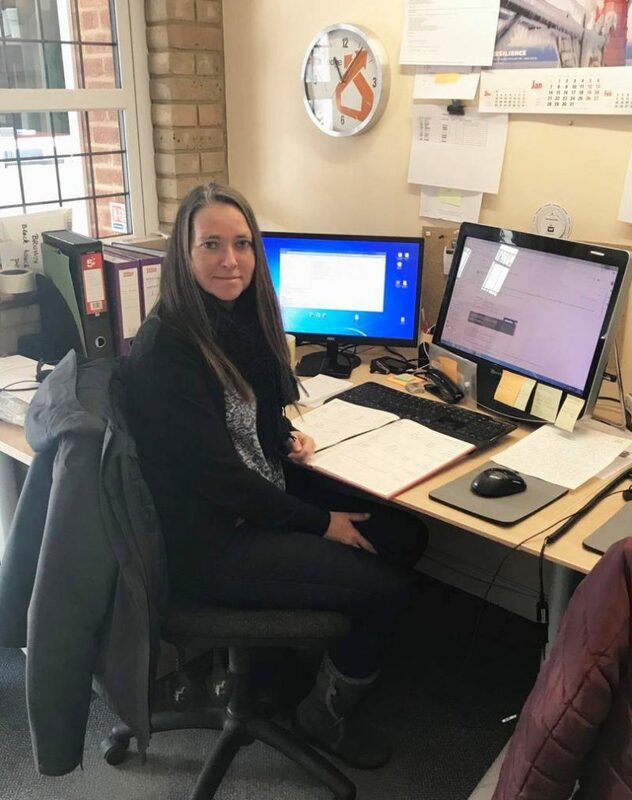 She does a wonderful job of managing the installations diary, by liaising with staff, customers and manufacturers to ensure the whole installation process runs smoothly. 2. How does your past experience support you in your current job? Although my role differs greatly from what I have done in the past, you definitely need to be able to multi task. Rather than working on one sole project, I can find myself doing 3 things at once at Sheerwater Glass. Having liaised with customers previously (albeit companies rather than the general public), my interpersonal skills are being used every day. I have never worked in a job where the days go so fast! 3. What do you enjoy most about working for Sheerwater Glass? I very much enjoy being part of a small team, and being able to help others out when I can. Seeing a full diary for 4 different fitting teams gives me a sense of achievement that I have managed to book installations for the products we have had manufactured and currently hold in store. I have 2 horses, so every day of every week I’m, at some point, at the stables. At weekends I spend a lot of time there, either having lessons with my instructor, out at a competition or riding with my friends. I love holidays, so we always plan to go abroad at least once or twice a year to visit somewhere we haven’t been to before. 5. What are your top 3 books or movies? Shawshank Redemption, The Greatest Showman and my box set guilty pleasure… Grey’s Anatomy. 6. Which website do you visit the most? My head says BBC News, my heart says Facebook. 7. If you could, who would you like to swap places with for the day? The Queen. Being waited on hand and foot all day, and not having to do a thing – perfect!